We are delighted to announce that Gordon was selected as a recipient of the prestigious Society of American Registered Architects (SARA) annual National Design Awards Program for his artwork installations at the Salt Lake City International Airport! The SARA Award celebrates design excellence in architecture and design; the competition attracts entries from across the country, and around the world, from individuals, firms, and students of architecture and allied disciplines. Awards are granted for a wide range of categories and project types. Award recipients were announced at a ceremony in Miami, Florida on October 20th, 2018. 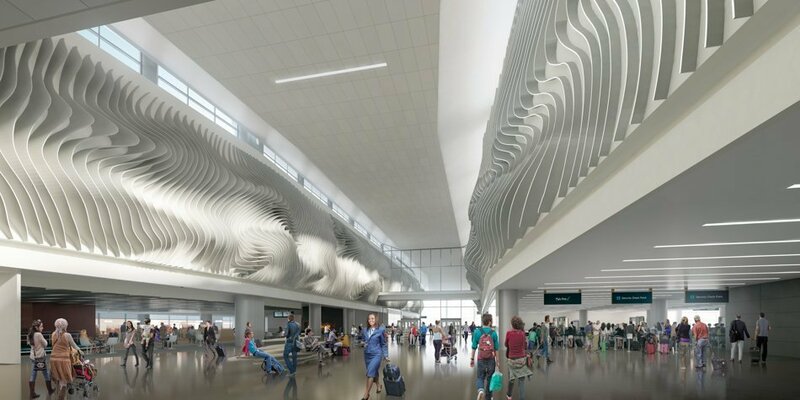 Find more information on the overall Salt Lake City International Airport Project here.